A new article published in July 2018 Cephalgia (Pubmed abstract below) showed that Sphenopalatine Ganglion (SPG) Stimulation reduces prescription costs in Cluster Headaches by more than half. This is extremely significant because these were treatment resistant patients! Another new article in Dec 2018 Neurosurgery recommends doing vidian Neurectomy while spearing the Sphenopalatine Ganglion. While the results were relatively positive with all but one patient experiencing approximately 50 % improvement the procedure is still less successful than either neuromodulation of the Sphenopalatine Ganglion or Self-Administered SPG Blocks. There are also much high costs and potential surgical risks. Self-Administration can dramatically improve the quality of life of Cluster headache patients and almost eliminate the need of medication. Self administered SPG Blocks are incredible cost effective both for treatment and prevention of cluster headaches. More important they avoid the need for visits to doctors offices or emergency departments. The cost is less than $1.00. Quality of life improvement is priceless. Side effects of Sphenopalatine Ganglion Blocks include DECREASED ANXIETY and Pain. There is excellent evidence for using SPG Blocks to treat (eliminate) newly diagnosed essential hypertension and PTSD. 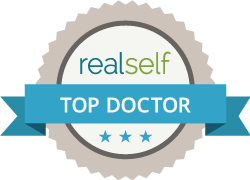 Dr Shapira see patients from across the United States who want to learn to Self-Administer SPG Blocks. He uses them in conjunction with Neuromuscular Dentistry to change peoples quality of life. Visit his website www.ThinkBetterLife.com to learn more. The Think Better Life YouTube Channel has over 150 patient testimonial videos. Cephalalgia. 2018 Jul;38(8):1455-1462. doi: 10.1177/0333102418784689. Epub 2018 Jun 19. Changes in medication cost observed in chronic cluster headache patients treated with sphenopalatine ganglion (SPG) stimulation: Analysis based on 1-year data from the Pathway R-1 Registry. Pietzsch JB1, Weber SA2, Lund N3, Gaul C4. Background On-demand stimulation of the sphenopalatine ganglion (SPG) by means of an implantable neurostimulation system has been shown to be a safe and effective therapy for treatment-refractory cluster headache patients. Our objective was to estimate changes in cluster headache medication cost observed in SPG-treated chronic patients. Methods Detailed patient-level data of 71 chronic patients treated with the Pulsante® SPG Microstimulator System were available from the Pathway R-1 Registry through 12 months’ follow-up. We used utilization data of preventive and acute medications reported at baseline, 3, 6, 9, and 12 months to estimate annualized drug costs for SPG-treated patients and compared it to baseline. Cost estimates for all drug/dosage combinations were developed based on German medication prices for 2016. Results In the base case analysis, mean annual acute and preventive medication costs decreased from €14,178 to €6924 (-€7254; -51%), and €559 to €328 (-€231; -41%), respectively, leading to total estimated annual drug cost savings of €7484, 97% of which were attributable to acute medications. Conclusions Our analysis suggests that SPG stimulation for the treatment of chronic cluster headache is associated with pronounced reductions in cluster headache medication usage that might lead to sizable annual savings in medication costs. Vidian Neurectomy for Management of Chronic Cluster Headache. Liu SC1, Kao MC2,3, Huang YC3,4, Su WF3,4. Management of chronic cluster headache (CCH) remains a challenging endeavor, and the optimal surgical approach for medically refractory CCH remains controversial. To conduct a preliminary evaluation of the efficacy and safety of vidian neurectomy (VN) in patients with medically refractory CCH. Between March 2013 and December 2015, 9 CCH patients, all of whom had failed to respond to conservative therapy, underwent VN with a precise nerve cut and maximal preservation of the sphenopalatine ganglion. Data included demographic variables, cluster headache onset and duration, mean attack frequency, mean attack intensity, and pain disability index measures pre- and through 12-mo postsurgery. Seven of the 9 cases (77.8%) showed immediate improvement. Improvement was delayed by 1 mo in 1 patient, after which the surgical effects of pain relief were maintained throughout the follow-up period. One patient (11.1%) did not improve after surgery. One year after VN, patients’ mean attack frequency, mean attack intensity, and pain disability index decreased by 54.5%, 52.9%, and 56.4%, respectively. No patient experienced treatment-related side effects or complications. VN is an effective treatment method for CCH patients. Precise Vidian nerve identification and maximal preservation of the sphenopalatine ganglion may achieve good surgical outcomes and dramatically improve quality of life among patients, without significant adverse events.